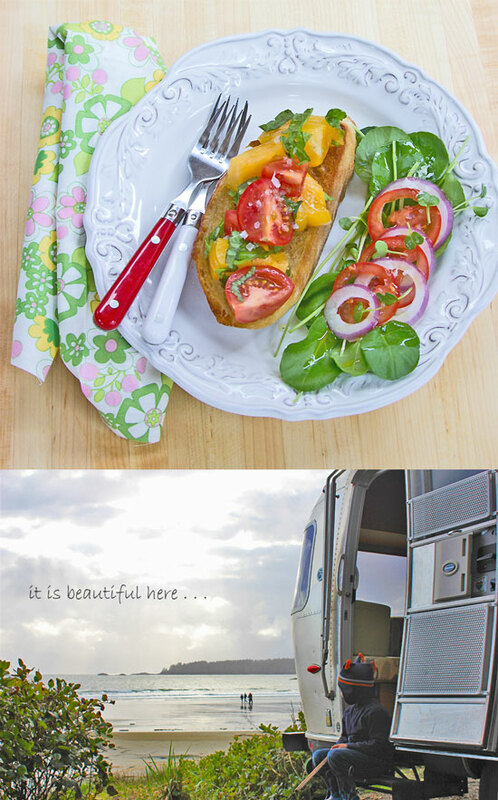 A Movie Inspired Bruschetta for Lunch and Thoughts of Last Spring of our Trip to Tofino, B.C. I spent a quiet afternoon over the weekend in the Airstream enjoying a simple lunch, watching a movie (for the millionth time, can you guess which one?) and clicking through many, many pictures on my laptop enjoying them all.
. . . and reminiscing. Oh the trips we have been on, I still can not believe it sometimes . . . This is Tofino, B.C. 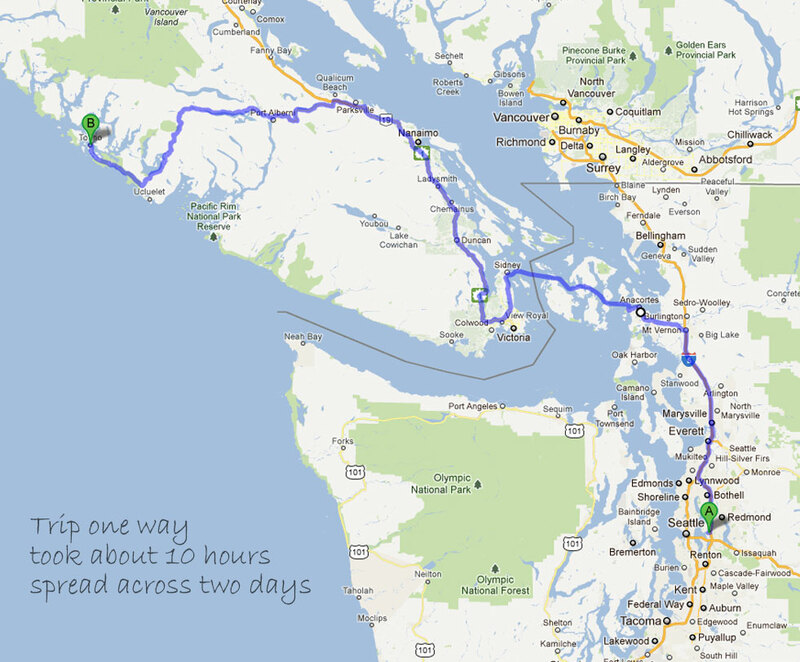 located on Vancouver Island. We camped almost right on the beach with our Airstream and the storms during this time of year are intense. I bring up this trip to you because we almost decided to go back again next month. Almost. But then we thought, yes it was beautiful and peaceful.
. . . and so relaxing, but we still have so much more exploring of places that we have not yet been to. So we will wait until another time to go again. 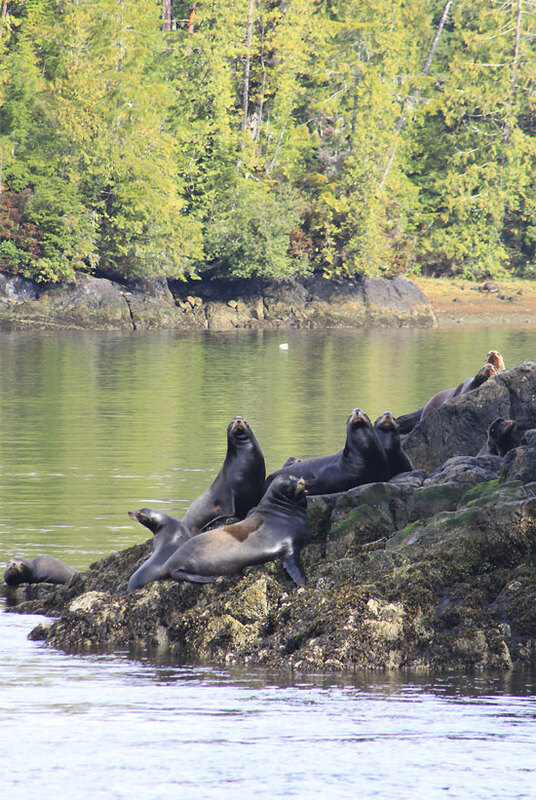 One of the many activities we enjoyed while on holiday in Tofino was wildlife watching via a chartered boat. It was beautiful. We were hoping to see some bears, but they were still in hibernation. But that was just fine as we enjoyed other types of wildlife. Sea Lions, Eagles and birds of all types . . . Cute, isn’t he? Or she? Nonetheless, we were pretty far back and I took these with my zoom lens. He still wasn’t crazy about us but he relaxed as we slowly motored away . 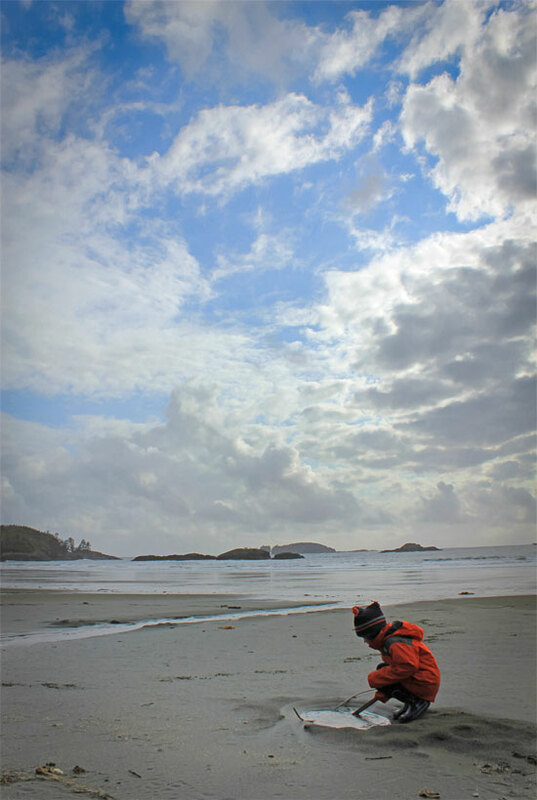 . .
Tofino is a paradise for children, I definitely must mention that. Tide pools, beautiful sandy beaches to explore, fishing and so much more. B was very happy here. Everyday there was always something new for him to explore, especially after the storms since the beaches were full of new discoveries washed ashore. As we enjoyed our lunch finishing up watching the movie, hubby B and I could not help but feel so lucky that we have been able to see as much as we have in just a little over one year. What fun it has been and what fun we have ahead of us! Simply preheat a medium skillet and coat thickly cut bread with olive oil and cook until golden brown. 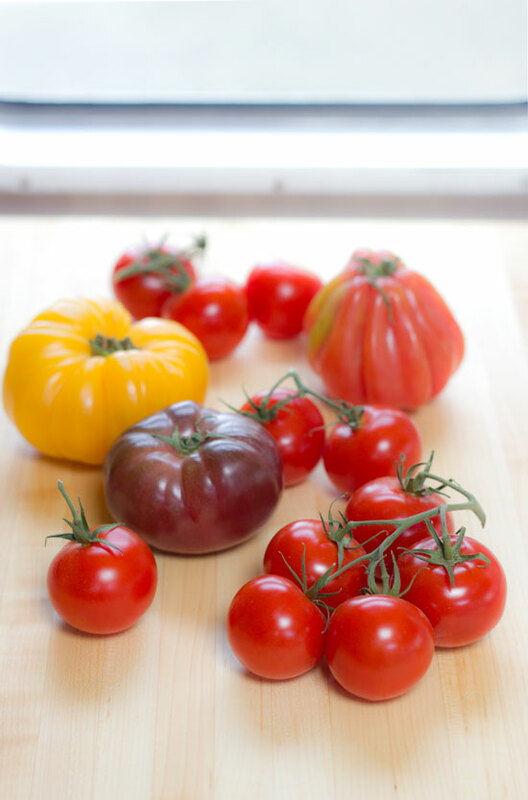 Top with some beautiful tomatoes that have been tossed in a bowl with some olive oil, torn basil leaves and crunchy flaky sea salt and pepper. This is simplistic and absolutely delicious! Oh Monica, such a great read! Really enjoy the beautiful photographs. And, I’m now so hungry because of the delicious food shots. Enjoyed the map, puts it all into perspective. And, oh yes-Julie and Julia~an all time great flick. Cheers!!! Love the Tofino post. Which campground did you stay at? We have a 23′ trailer and thought that was too big for beach front at Bella Pacifica. Hi Deb! From my recollection, we were told that our 25′ trailer probably wouldn’t fit down by the beach in one of the sites, but we could give it a try. With a bit of maneuvering we fit. It’s all dry camping down there and after a while we moved next door to Crystal Cove Beach Resort for full hookups, which was quite nice. Hope that helps! I would love to see sea lions one day! Tofino seems so quiet and picturesque, Monica!